Looming Drug Potency Issues for American-Bound Pharmaceuticals? India’s leader in US-bound generic pharmaceuticals, Dr. Reddy’s Laboratories, is now facing several large product recalls due to significant deviations in potency of active pharmaceutical ingredients. FDA issued an Enforcement Report on May 6, 2015 announcing the recall of divalproex (generic Depakote for epileptic seizure and bipolar disorders). Then on June 24, FDA issued additional Enforcement Reports recalling Dr. Reddy’s combination tablets of amlodipine besylate and atorvastatin (generic Caduet for angina/hypertension and hyperlipidemia), due to potency deviations from original specifications from failure of dissolution testing. During the time of these two recent recalls due to potency issues, FDA finalized the appointment of Dr. Mathew T. Thomas, M.B., M.S., as the new Director of the India Office, in the Office of International Programs (OIP). Dr. Thomas had been Acting Director of the New Delhi FDA Office since February, 2015. Prior to becoming Director, Dr. Thomas was at the Center for Drug Evaluation and Research (CDER) as Director of the Division of Enforcement and Postmarket Safety (DEPS), in the Office of Scientific Investigations (OSI) within the Office of Compliance. On Dr. Thomas’ watch, it appears FDA is raising its interest in cGMP issues resulting in altered potency of American-bound pharmaceuticals. 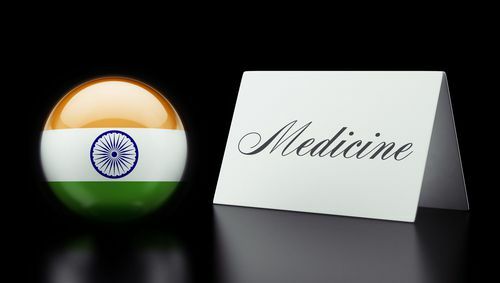 Could the FDA also be scrutinizing Indian manufacturers who make DS and DP for the large brand-name pharmaceutical products now out-sourced to reduce Big Pharma’s costs? Will FDA actually issue more Enforcement Actions than India’s Drugs Controller General of India (DCGI) in the pursuit of cGMP compliance?